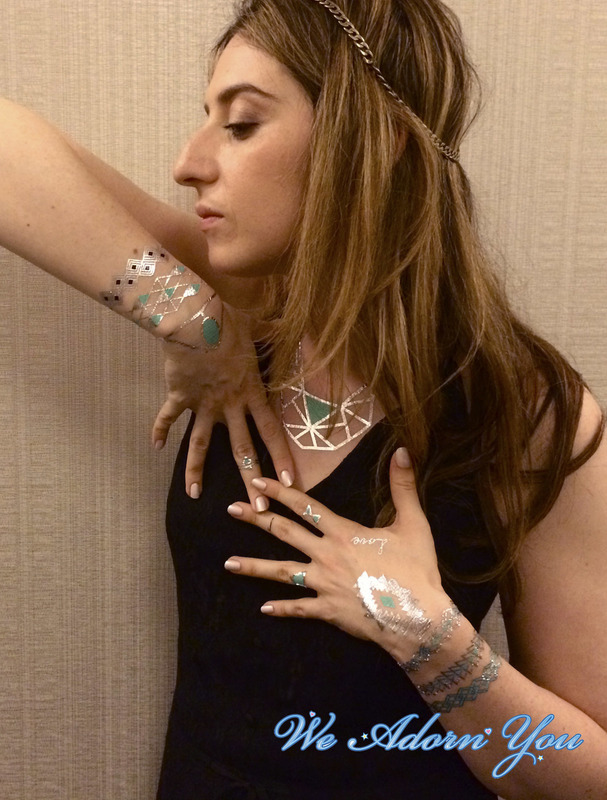 In a flash, you will be adorned in our jewelry inspired temporary tattoos. 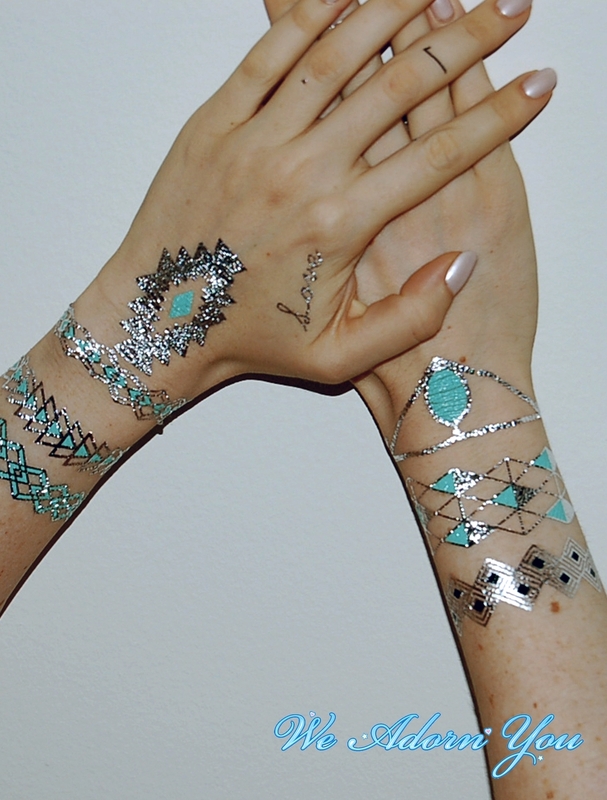 Our tattoos can be styled anywhere - feet, arms, back, neck, hands, forehead...even nails! 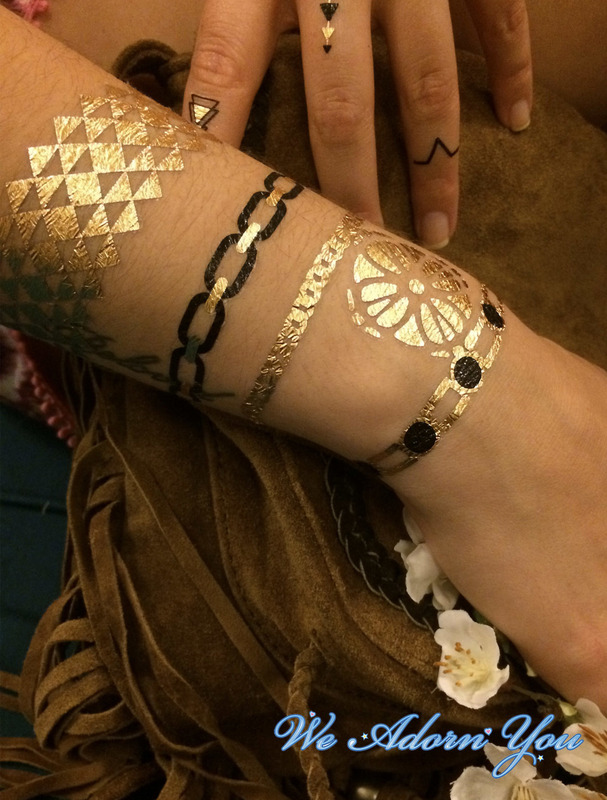 The tattoos will last around 3-6 days, depending on where they are placed and how well you take care of them.